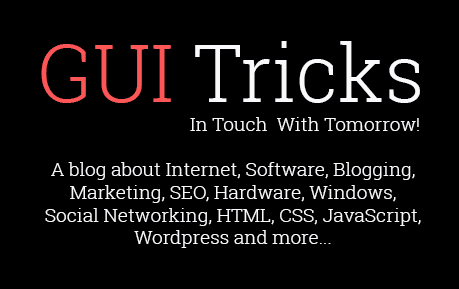 The Difference Between Digital Marketing And SEO | GUI Tricks - In Touch With Tomorrow! 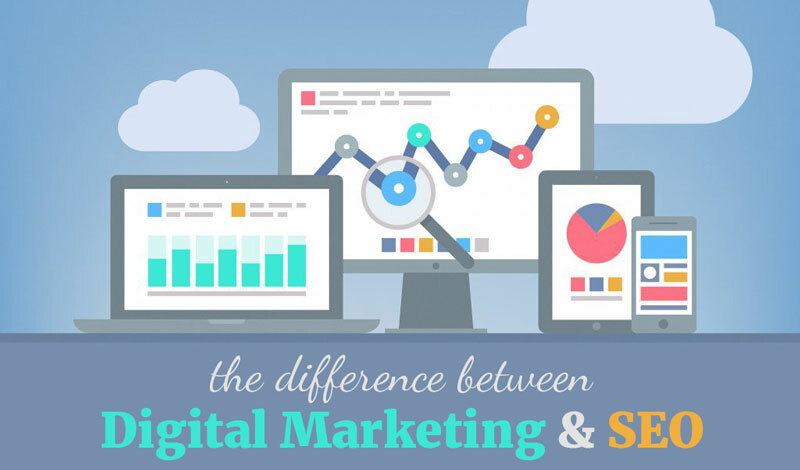 The Difference Between Digital Marketing And SEO - GUI Tricks - In Touch With Tomorrow! Digital marketing and search engine optimization (SEO) are two separate things that have different definitions as well as have various functions. Nonetheless, many consider them similar, as they work in tandem with each other, and cannot work on their own without each other. A business hires an SEO expert to optimize their website to boost their rankings in search engine ranking. To achieve this goal, the SEO expert uses several SEO tools and tactics. SEO is, in fact, a subset of the digital marketing, and SEO experts are someone who integrates and uses both SEO practices and digital marketing to achieve their goals. Digital marketing and SEO is similar in many ways, and thus, utilizes the same skills. An SEO "expert" has the knowledge, skill, and experience to boost a website's rankings to increase website traffic (and revenue) to the potential online business. On the other hand, a digital marketing manager might work together with an SEO expert in a promotional campaign to improve the company's overall exposure using digital media. In other words, digital marketers use SEO as a medium to drive website traffic (potential customers) towards potential businesses. Perhaps, it's one of the reasons why SEO is seen as an essential part of digital marketing. There are several marketing strategies both SEO experts and digital marketers share by incorporating a number of digital marketing practices like content promoting, email marketing, social media marketing, and now mobile marketing. Digital marketers have an added advantage of having access to other few alternatives such as TV, text, billboards, and radio. All these entities are so similar with each other that in most cases they almost overlap with each other. However, SEO experts is more concerned about driving more traffic (potential customers) to the websites, while digital marketers are more focused on increasing the website presence and exposure to the clients. So, in this sense, without an SEO strategy, it’s impossible to launch a digital marketing campaign. In addition to SEO and digital marketing, there's another marketing strategy that is becoming popular among marketers: SEM. Just like SEO, SEM (search engine marketing) is a subset strategy of digital marketing and uses search engines as a digital medium for promotional activities. For example, all those paid ads that show up on the sidebar or top of the Google search results whenever you type a search phrase is SEM. PR is used synonymously with the term digital marketing, too. However, just like SEO and digital marketing, there’s a massive difference between PR and digital marketing. They differ in their ‘target’ audience. For instance, “traditional” PR methods, such as media pitching target a wide range of audience with the primary aim of building brand awareness, including those people who might be interested in the brand (and it’s products and services), and what the company is up to. Digital marketing, on the other hand, is more concerned with reaching to people who’ll take action and ultimately contribute to the bottom line (revenues) of the business. In short, PR makes it easier for business to raise brand awareness and reputation, while Marketing helps them reach their consumers more directly. Network building strategies, such as blogger outreach and influencer marketing help businesses build brand awareness and reputation, while digital marketing tactics such as Paid Ads help them reach hyper-active audiences that are most likely to convert into customers. Today, there’s a huge tendency of incorporating digital marketing strategies with SEO. In the past, many marketers thought SEO was enough. However, as social media has started to gain momentum and popularity (and expanded over time), and as the usage of mobiles and tablet have grown beyond belief, marketers now understand it will take more than just SEO to reach their consumer market. To create a robust online presence and reach more of your target audience (before any of your competitors does) you’ll have to combine digital marketing strategies with SEO strategies. In other words, SEO is not dead, and nor it will be anytime soon. In fact, in today’s market, you’ll have to go beyond SEO and incorporate as many digital marketing strategies as you can to see increased revenues for your business. As you probably know SEO is never constant, as search engine algorithms are regularly updated. Search engines today have become smarter and efficient than before, compelling SEO experts to keep an eye on the latest trends. One of the recent development in SEO tactics is the incorporation of the digital marketing. And from this transition, a new term has emerged, Search Marketing Integration (or SMI). As search engines (such as Google and Yahoo Bing) continue to improve their algorithms to measure the site's overall content quality, brand sentiment, and relevance, it has become increasingly clear that SEO is overlapping with other digital marketing strategies. As a result, the integration of digital marketing and SEO tactics it eventually revolutionizes a company’s tactics for approaching PR, sales, marketing, branding, and everything else that concerns their business. In short, the company will now have to integrate best SEO strategies and digital marketing tactics to become successful online. Over the past few years, there are have been several significant changes for both digital marketing and SEO which have created a blurred line between the two. Even though they’re entirely different entities with their own end goals, they are increasingly becoming more and more integrated into a single strategy. The most significant challenge now is how to integrate these two powerful strategies for the benefit of a company. Since each business is unique, it can be quite tricky. The success lies in developing a single campaign created from a wide range of tactics and methods from both digital marketing and SEO practices.